If you have sustained an injury as a result of another party’s negligence, you will be tasked with making several important decisions during the aftermath of your injury. Hiring the right personal injury lawyer is one of the most crucial decisions you need to make when deciding to take legal action. A good lawyer will maximize your chances of attaining the best possible outcome for your individual circumstances. The skilled personal injury attorneys at Aitken * Aitken * Cohn can guide you through the complex legal process and advocate for you each step of the way. If you live in the Santa Ana area, contact us at (714) 434-1424 to schedule a free consultation and learn about how we might be able to assist you after an injury. Below are some considerations and questions you should ask when hiring a Santa Ana personal injury lawyer. Motor vehicle accidents. If you have been injured in a car accident, truck accident, or motorcycle accident, you need an attorney who understands how auto insurance works in California and how to negotiate with insurance companies. Pedestrians and cyclists who have been hit by a motor vehicle should also seek a personal injury attorney that has represented victims after an injury in a motor vehicle accident. Premises liability. If you have suffered an injury on another party’s property, you need a premises liability lawyer. These attorneys have experienced dealing with homeowners’ insurance and commercial insurance policies after victims have been injured at a public place, a place of business, or a private residence. Slip and fall incidents, swimming pool accidents, theme park accidents, elevator/escalator accidents, and playground accidents are only a few examples of cases that a premises liability lawyer handles. Product liability. Injuries caused by a defective product might overlap with other practice areas, but they require specialized knowledge laws related to product defects. Any party in a product’s chain of distribution, from the manufacturer to the retailer, might be liable in a California court. If you were injured by a defective product or a manufacturer’s failure to warn you of dangerous aspects of a product, a personal injury attorney who focuses on product liability cases can help you seek damages. Medical malpractice. Several actions or inaction related to the diagnosis, treatment, and aftercare of illness and diseases by a healthcare professional constitute medical malpractice. Attorneys who specialize in medical malpractice suits are familiar with the additional requirements and laws concerning medical malpractice. Under California law, suing for medical malpractice has presuit notification requirements and caps for damages. Wrongful death. When a severe accident or injury caused by negligence results in a victim’s death, surviving family members can take legal action in a wrongful death suit. California has two different paths for surviving family members seeking damages, each with different requirements. A wrongful death personal injury attorney understands the gravity of your loss and can advise you on the best path for you and your family during a difficult time. At Aitken * Aitken * Cohn, our legal team includes knowledgeable attorneys that practice in all of the aforementioned broad practice areas, as well as other niche areas, such as brain injuries and bad faith insurance claims. Once you know the type of specialized experienced you want your Santa Ana personal injury lawyer to have, you should seek out some personal referrals. Friends, family members, and colleagues might have had the need for a personal injury attorney at one time or another and can refer you to the firm they used. If you know someone who practices a different type of law or you have a tax attorney, real estate attorney, estate planning attorney, or another type of attorney, you should also ask these professionals for a recommendation. When lawyers refer clients to other lawyers it speaks volumes about the respect that a firm or attorney has among their peers. Martindale-Hubbell. Their online registry lists more than a million lawyers across the United States with biographies and peer review ratings. An AV rating identifies lawyers as Preeminent, peer-rated for the highest level of professional excellence. Aitken * Aitken * Cohn currently has a 4.9 out of 5 from peer reviews and a 100 percent rating from clients. The Best Lawyers in America. Best Lawyers lists attorneys who have been selected by their peers in 57 legal practice areas, including personal injury and medical malpractice. Eight of our attorneys are listed in Best Lawyers, and Best Lawyers has recognized our founding partner, Wylie Aitken, since 1987. Super Lawyers. This annual list of exceptional attorneys from over 70 practice areas includes lawyers who have been recognized by their peers and continually attain a high level of achievement in their practice areas. This honor is only bestowed upon five percent of lawyers in each state. Again, Super Lawyers lists nine of our attorneys as either Super Lawyers or Rising Stars, and has recognized Wylie Aitken since 2004. The vast majority of personal injury firms, including Aitken * Aitken * Cohn, offer free consultations. This is an opportunity for you to share the circumstances that led to your injury and any details you think your lawyer should know. You should come prepared to this meeting. Bring any medical records, police reports, communication from insurance companies, photos, and other relevant documents. Your first consultation is also an opportunity for you to ask your potential attorney questions about the way they will handle your case and assist you through the lawsuit process and learn about their personal record. How many cases or what percentage of your cases do you settle each year? How many cases or what percentage of cases go to trial? How many cases have you litigated in your career? in the last year? in the last ten years? How many cases are you currently working on? How many cases is your firm working on? What is the largest verdict or settlement that you have secured for a client? What strategy(s) do you suggest for my case? What kinds of obstacles or challenges does my case present? These questions will give you an idea of your potential attorney’s accomplishments, the accomplishments of their firm, and an idea if they are currently active or resting on past accomplishments. Additionally, you can get a broad idea of the next steps for your case. Some of these considerations and more are addressed below. The vast majority of personal injury cases settle before going to court. Yet, circumstances exist where settlement is not an option. Perhaps the defense hasn’t offered fair compensation, multiple parties are involved, or the defense is disputing liability. Whatever the reason, some personal injury lawyers are not strong litigators. In fact, some lawyers might push you to settle because they are afraid of the courtroom. You need to know that if your case goes to trial, your lawyer will aggressively litigate your case and fight for the best outcome for your case. Verifying your potential attorney’s track record in the courtroom will ensure that you have the best possible representation regardless of how your case plays out. Make sure to discuss the fee structure at your initial consultation. Most personal injury firms handle cases on a contingent fee basis. This means that you don’t pay any attorney fees upfront or out-of-pocket. Instead, the firm will collect attorney fees from any settlement or verdict in your favor they secure for you. It’s impossible for your potential attorney to tell you the exact cost, but they should have an estimate of how long your case should take and a rough estimate of attorney fees. They should also be able to tell you if you will be responsible for any fees if you lose your case. You should avoid any lawyer who hesitates to discuss costs or attorney fees. Some cases have characteristics that cause them to be more complex than other cases. These injury cases require thorough investigations to build the best cases against insurance companies and/or for the court. Investigation doesn’t only include gathering documents and witness statements, but might include forensic testing and accident reconstruction with proving negligence as the ultimate goal. These activities require in-house capabilities or capital to carry out. You should find out if your attorney has the financial resources to undertake a proper investigation. Small boutique firms with few resources might not be able to build as strong of a case for you, or they may contract out the investigation and expect you to pay for the costs. Long established firms with strong reputations and ample resources will give you the best chance for prevailing in your personal injury lawsuit. Building a strong case for you also requires a strong network of specialists and experts. Your attorney should have contacts that can serve as expert witnesses in your case. Expert witnesses come from a wide variety of backgrounds. Depending on your situation, you might need an expert to give a statement about forensic evidence or accident patterns. In cases with severe or catastrophic injuries, some lawyers call upon healthcare experts that can speak to the cost of medical care for an extended period or occupational experts to value future lost wages. If your attorney cannot accurately value your claim, he or she should also have contacts who can assess value. In medical malpractice cases, your attorney will need medical experts to give opinions about acts of malpractice that caused harm. Law firms and lawyers with strong reputations remain active in their physical and professional communities. Ask any potential attorney about outside activities they participate in such as volunteering or mentoring, and if they belong to any local, state, or national trial lawyers’ organizations or associations. You should also find out if your attorney has taught classes to budding lawyers at a local college or university, written any legal books, or been invited to speak at notable conferences. 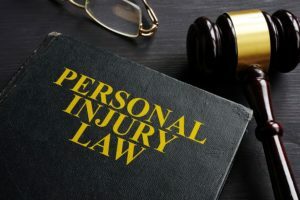 These activities serve as another indication of experience and respect from peers, suggesting that you have located a qualified attorney to represent you in your personal injury lawsuit. If you live in the Santa Ana area and have suffered injury because of another party, California law permits you to seek damages in civil court. You need to choose reputable and knowledgeable attorneys who will diligently pursue the best outcome for your case. The legal team at Aitken * Aitken * Cohn has recovered millions of dollars for hundreds of clients over the last decades and are here to help you through the challenging time. Contact us at Aitken * Aitken * Cohn online or call (714) 434-1424 to schedule a free consultation with a Santa Ana personal injury lawyer today.